I can’t find the reply you sent to me! What is the coupon I can use to get cheaper resin? Hobby Lobby has a regular “40% off one full priced item coupon” that you can use. Go to their website and shop at Hobby Lobby. Lol, that question is 7 years old. Bwaahaa!! Silly me!! I hope she found it!!! I am new to using the Modge Podge and Resin. Do you think the Modge Podge worked just as well? Also did it make the coasters water proof so the water off the cups didn’t ruin the picture? I tried using Modge Podge after seeing a project like this elsewhere. It does NOT work. I wound up washing the tiles clean with hot water and dish soap when they turned gooey after being used several times. A coaster that can’t stand up to a wet glass is pretty useless. When I get around to trying again with those leftover tiles, I will definitely go with resin. Mod Podge makes a dishwasher safe version that should prevent that problem. Also, doesn’t resin yellow over time? I also tried the lodge lodge and was dissapointe. They looked smears to me. And I could see the strokes. I will try the resin next. Wow Alison! Those are fantastic! My in-laws love using coasters. A couple sets of these are probably in my future! I love these! My MIL would love them too! I will have to do this! Thank you for the inspiration! I really, really love this project! The blow torch, however, is not a tool that I should wield in my crafty endeavors. I would have to be sure my fire extinguisher was up to code and possibly evacuate both houses on either side of me before attempting. I am in awe of your new yet obvious savvy blow torch prowess. But you have inspired me to be courageous and try it someday. Oh wow! You’ve got me wanting to try these. They look so amazing, the perfect gift! Where do you find a blow torch? Thanks for the wonderful idea and tutorial. I’m pinning this one! Is it possible to do it without a blowtorch? What a great craft. I would love to try making these but I wonder where I could buy some. I’ve looked online at a big superstore and no luck as well as a local hardware store. Any ideas? Thanks. These look great! I wanted to let readers who are scared of resin (or the blow torch) know that you can also just use a clear varnish from the paint aisle. I made these a few years ago, but I used a special adhesive paper that you printed on, then put in water for the back to come off. That way only your picture shows, and if you have tiles with crackles in them like I did, they show through as well (it was a different look than the perfectly clean look of yours). I then put on two or three coats of varnish and they are still being used today, about 5 years later! Yours look lovely! How did you do the adhesive paper tiles? Not clear, but would enjoy the texture of the cracking in the black and white pictures. Please email a “tutorial” as such? Thanks so much. Have a good holiday. I won’t start this project until after Jan. 7th wedding. Giving on Valentines day. Uh, I’m so discouraged. I made 18 coasters today and I have to throw 14 of them away because the resin faded the pictures horribly! I guess thats what happened? I bought more tiles and i”m going to try again tomorrow. I’m thinking about trying the clear varnish first, and after it dries, putting on the resin for the high gloss look. What do you think? I’m wondering if maybe it was too cold in my garage or if I applied the resin too thick. I’m wondering if a blow-dryer would work? No moisture from blowing thru a straw? You can use a heat gun..just make sure to not get too close and let it set in one area too long..it can burn it. .but I find it works great! I work with resin a lot. The trick is to cover the photo(front and back) in 2 coats of modge podge first. They will look uneven, but once you put the resin on, it will even out and you won’t get the fade. 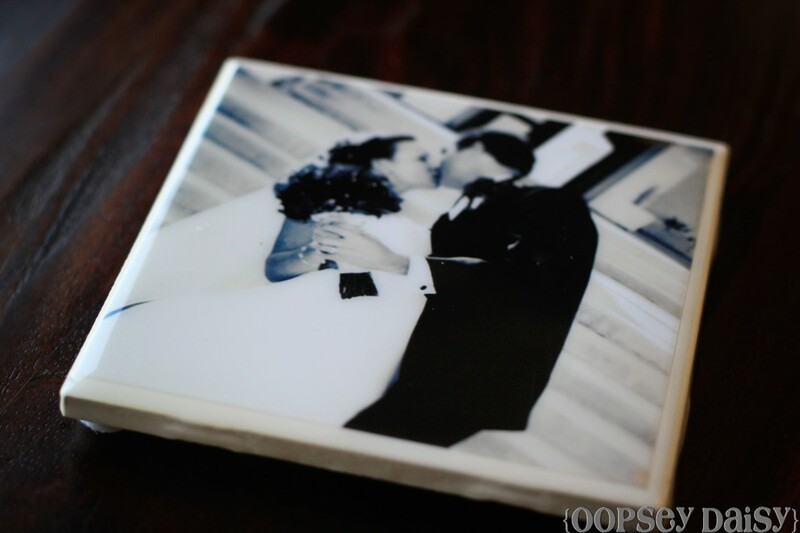 Hi Christina, I made resin photo tiles over the weekend and had red blotches/spots appear on some of my photos. I suppose a reaction in the chemicals. Do you have any suggestions to avoid this? It only happened on a few select photos? Can u put a hot coffee mug on the coasters? Or will it melt? On its deff water proof? I’m also afraid to use resin. awesome job. i would love to have you link it up at our link party going on now! Wish I had a coffee table to use these. But they turned out pretty dang cute! oh my goodness I just love these so much. I would love if you would come op on over and link these up to my party if you would like. Gorgeous! I can’t wait to give them a try for myself! Those resin bottles are big were they expensive? These are lovely, but I have no idea where to find resin. Is it something you would find at a crafty place like Joann’s or Michael’s, or is it more of a Home Depot/Lowe’s purchase? I love this! I was about to make them using the tissue paper technique, but your pictures look so good! I’m going to give this a try…today! For those of you not wanting to share space with the blow torch, you can use a product called eat a bubble. It works toward the same goal, just chemically. Looks like an order of resin will be in soon. I will use a straw. Thanks for the great coaster idea. Now my mind is spinning with ideas. Cannot wait to try this. 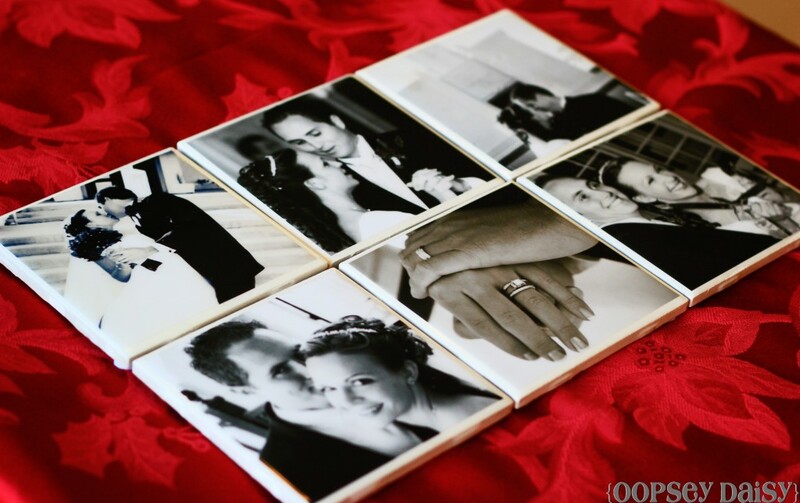 love the photo coaster,I have seen these tiles used in the kitchen as backsplash.glued to the wall and grout between them.neat idea. This was such a cute idea that I just had to try it! It will be a great inexpensive Christmas gift for everyone in my family! But after pouring the resin and letting them sit my pictures started to curl underneath, creating a ripple. Any tips for how to avoid that??? How were you able to keep the pictures laying flat (I did use the glue stick to keep them in place)? Hi Sydney – I’m about to attempt this project and I was wondering if you figured out how to avoid that wrinkle problem? Any advice will be appreciated! I was wondering if a heat gun would work? Also where do you buy the resin at?? Thank you for showing this great tutorial. Thanks for this cute project. I have a question: did you use the pictures or did you photocopy them before placing on the tile? I have done a similar project before but with a photocopy. Can you use mod pose instead of resin?? I was also wondering if you could use Mod Podge and a coat of clear spray paint? I love them, but don’t know how expensive resin is and I have Mod Podge on hand. This is awesome!! I so have to try this!! Thanks so much for sharing this!! When using the Resin, it states to glue the pictures down (which I did) AND to “then brush a layer or two of glue on top of the print and allow each layer to dry” Did you complete this step before pouring on the resin? Also, What did you place the tiles on before pouring to keep your counter mess free? Could you use Mod Podge and a waterproof sealer? Amanda I did I think four or five coats total with the Mod Podge–I think it was whatever the recommendation for sealing was on the back of the jar? I did it a very long time ago so I can’t say for sure, but I did pretty thin coats of it and the only problem I had was that a couple of the color pictures seemed to bleed (I printed them on a regular inkjet printer), but they turned out fine once it dried. My big issue now was that I couldn’t find a good hard drying sealant to spray them with. Don’t get Krylon acrylic spray because it stayed tacky after drying even though it is supposed to be a sealant and water resistant. I am going to finely sand them and try the Triple Thick glaze from Krylon now (I just bought some tonight on a whim at Walmart) and I am glad to know you recommend it Kayla. Carly, how did the Triple Thick glaze from Krylon work out for you? I am having the same problem trying to find something that hardens enough. I have never heard of resin before and it’s scaring me!! Can anyone tell me if I make about 12-15 of these coasters if an 8 oz bottle of resin/hardner would be enough for those? Hi Alison, Thanks so much for posting this idea. I’m in the middle of making these as Christmas gifts and I’ve got a question for you. Did you Modge Podge or in any way seal your photos before using the resin? I’ve read online that the resin can discolor parts of the photos and that any paper products should be sealed first, but when I used Modge Podge, it really clouded up my photos and I’m worried I won’t get that glossy finish when I resin! Can I skip that step? My photos were printed on a color printer on high gloss photo paper. Any advice you have I’d be grateful for! Thanks! 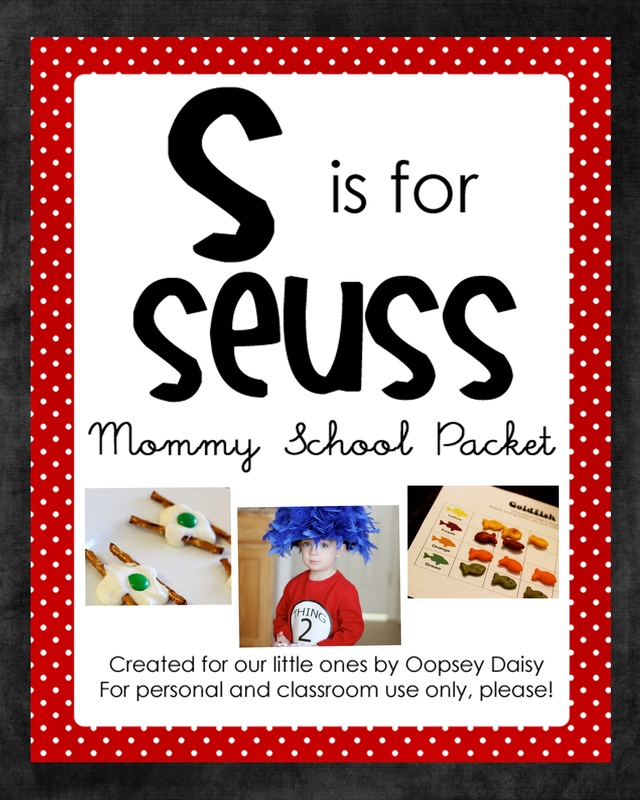 Love this idea…I know of a few people using modge podge as well. Will this be okay to use or is it necessary to use resin. If so where can I buy it and about how much does it cost? Hi Ashley! You definitely don’t need the blow torch!! As I wrote in the tutorial, you can just blow through a straw. The point is just to get the bubbles out by using carbon dioxide. I love these coasters! I have never used resin before so I am a little worried…can I use Modge Podge instead with clear waterproof finish over top? And where did you get your resin from? I am slightly terrified to try it but I love the look of your finished product!! I am writing to you from Stylelist Home, the Huffington Post’s new site devoted to design and DIY. 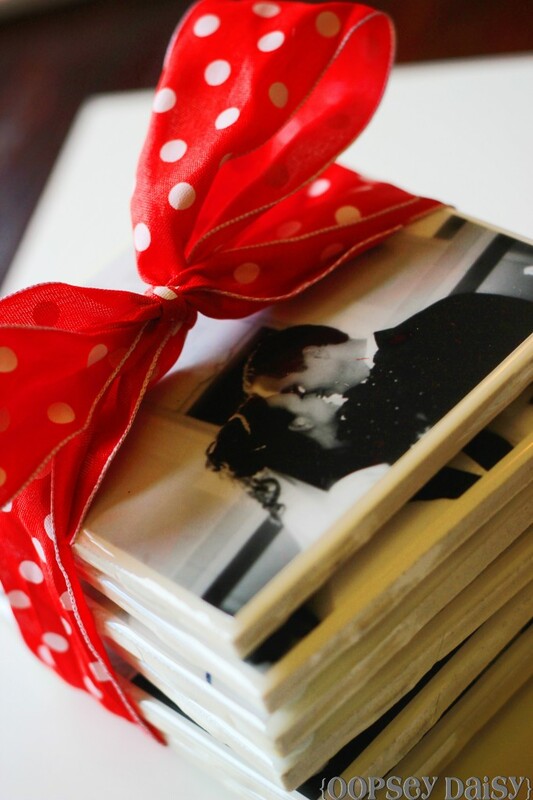 We are putting together a slideshow about great homemade gifts for the holidays and we’re going to feature your fabulous photo coasters! We’ll give full attribution and credit to you, including link-outs to your site, and will only use one photo as per your request. The post will be going up tomorrow afternoon, thank you! How much resin do you need for a set of 6? Has anyone used this process to make trivets for hot pots and pans? Curious if the resin will hold to the heat?!?! I don’t think it would hold the heat, it is a plastic. I bought my resin at Ace Hardware… It’s 8 oz each resin and hardener, and it was $27. I think it’s going to make me a lot of coasters… I mean, I bet I could make 30 of them…. 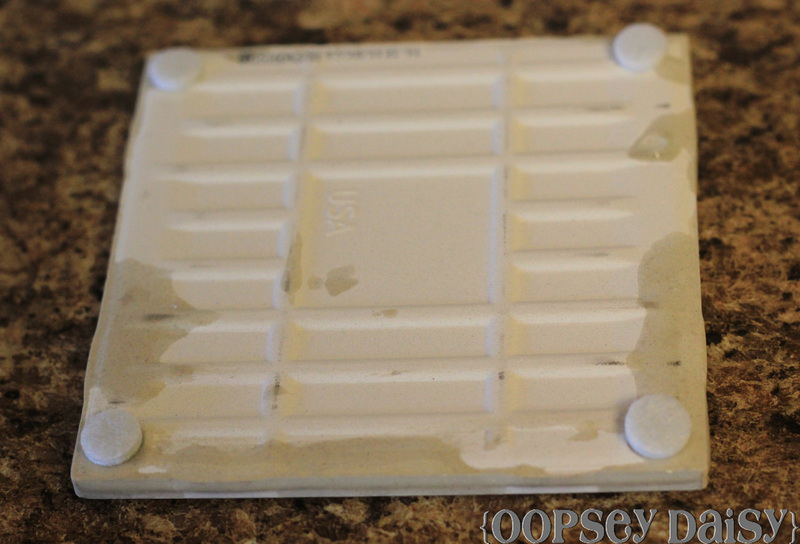 So the resin is less than $1 per coaster… I think. Check that… I just made 16 of them and have more than 3/4 of a bottle left!!! ALSO— DON’T BE AFRAID OF THE BURNER!!! My resin directions say to mis it like cake batter for two minutes…. this makes it cloudy and bubbly when you apply it… as soon as the heat hits it… (from 5″-6″ away), it clears up. There is nothing crazy tricky about it. AND- as far as the what to put under it so the coasters don’t stick to your table, I live in a house full of girls and we go through spools of ribbon like no other… I used the empty ribbon spools under my coasters and it worked great! Thank you so much! These have saved me this Christmas! I made my first set for the girls graduating nurse anesthesia tonight and they look great! I’m ready to do the entire family! I made 30 of them on my first go! Thanks again! For everyone who has mentioned their fear of using resin, and the blowtorch: honestly this product is AMAZING!!!! and so easy to use. I made these coasters using resin and I was a first-timer at it and everything went perfectly!! What I used to get the bubbles out instead of the blow torch is for those of you who are cardmakers and scrapbookers, use a heat gun. This is what I did and it was super easy to get rid of the bubbles, they just popped!!! Good luck! I’ve made these wonderful tile creations for my house as well as for gifts now and love them! I however use modge podge and it’s much easier ! Modge podge itself is supposed to be a sealant but I still sprayed with a clear gloss acrylic spray to seal them as well when I was finished with them. I also glued a sheet of cork on the back of the tiles as well for coasters. Another gift I have used them for is pictures. I simply got some ribbon that would look great with the particular picture I made and simply glued it to the tile then glued the sheet of cork to the back. For the picture gift I use all different size of tiles and just use my photoshop to make the picture the exact size I need for that particular tile. I also print out the picture at home and my favorite look comes from printing them off on regular printer paper not the photo paper. I made 3 sets of these for gifts. They are so beautiful and easy. I tried using modge podge first. But they weren’t as durable. Use the resin. Follow this tutorial because it works beautifully. Thanks so much, Dee! 🙂 I’m so glad you loved these as much as I did! I agree–the resin is so much more lovely and durable. Enjoy your holidays! I am loving these. However,after trying to make a wooden picture project (and failing), Im not too sure abt this project. 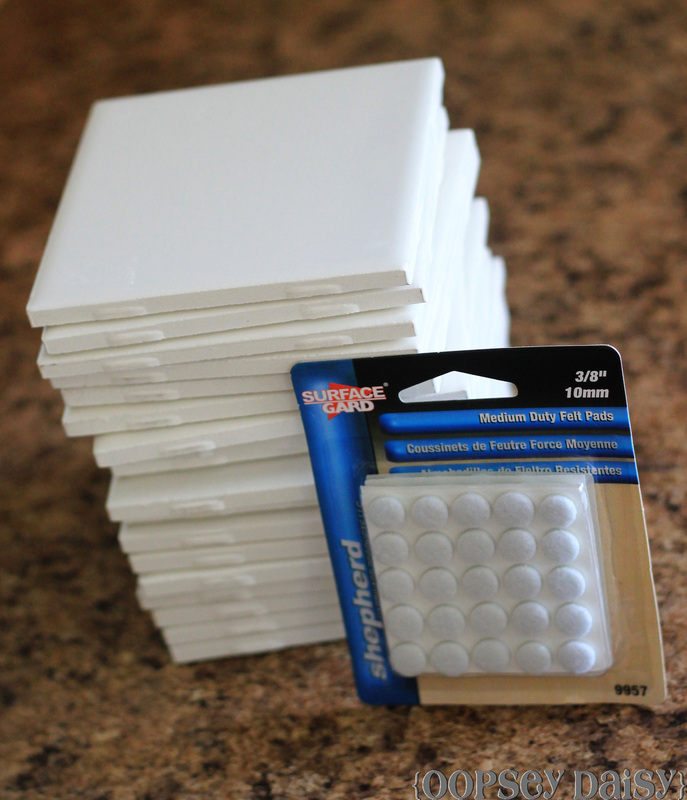 But IF I dont at LEAST try this,my hubby may get a little grouchy since he just went and bought an entire box of tiles! and all the other stuff needed for this project. Question- Can I print pictures off onto regular paper and use that or do I need to go and get prints? I dont think I even own any pictures anymore. They are on the computer. Hi there! I really want to try this out, but I wanted to ask you a question first. I read the instructions on the Envirotex website and it says not only to glue the pictures on like you did, but also to put a coat of the glue on top of the pictures. Did you do this with yours? Just wanted to make sure. Thanks! Hi Oopsie Daisy~ I really need help with these coasters! I have my pictures glued on and now its time for the resin……i’m a little nervous and I am trying to find on my container how much of to use. I see how many drops of resin goes in but that is it! All it talks about is making molds. Can you help me please!!!!!! Love your blog! Hi Caitlin! I have only used the Envirotex Lite resin, but I have no idea what kind of resin you’re using. Every type is different. I would Google the company website and download instructions there. That worked wonders for me. I studied the instructions first! Hey! I have made 20 of these for my office work party – they look great! Just a quick question though (as the party is tomorrow…) I totally forgot to elevate the tiles while they dried – is there an easy way to sand off the sides or remove the hanging parts so theyre perfectly square? If anyone has the answer, let me know! Rentfro (at) gmail.com – Thanks!! I just finished these for my parent’s and in-law’s Christmas presents. They turned out BEAUTIFULLY! Thank you so much for the idea! That is fabulous, Danalin! I am so glad to hear of another type of resin working well! Awesome! So glad that you had success! Have a great Christmas! Would a blow dryer work instead of a blow torch? I was thinking the same thing–did you try it? Thank you so much for the beautiful idea, I made these for my grandparent’s-in-law for Christmas, my grandma refuses to use them as a coaster and wants me to put hooks on the backs of them. Even though I tried to tell her that she owns all of those photos because I stole them from he through out the years she still wants hooks for the walls. Now the whole family wants sets made. Thank you so much again for the idea, they turned out so beautiful. 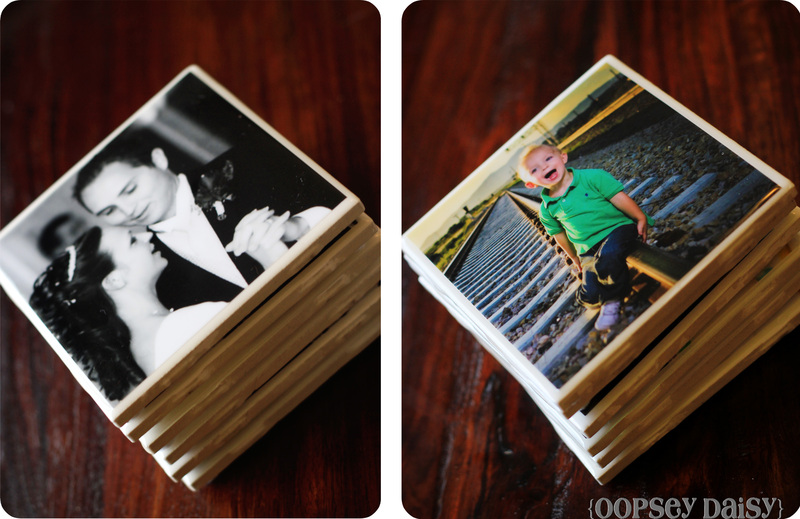 Coasters, what a great idea! They look wonderful, inexpensive and easy!! What more could you ask for?! I love this. I did the same thing with midge page but hot beverages melted the coating. Thanks. Does this work for tiles that are gloss finish? I wasn’t sure if the photo would still stick and I’m having difficulty finding small white matte finish tiles? These are beautiful. I love them! Those look wonderful…I will have to try those….thanks for sharing.. This is a great project. There is no time like the present to get started on Christmas presents, or brithday present for that matter! Thank you for sharing this idea. ! made 2 sets for Christmas gifts and they were loved. Great idea! But can I use a hair dryer instead of a blowtorch? 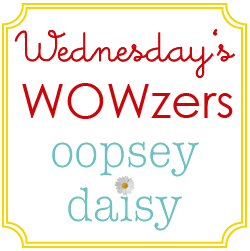 More than anything I was drawn to your website by the name…..my 5 year-old granddaughter used to love saying ‘Oopsey Daisy’…I even bought her a book with the same title that we had to read all the time! She passed away this past December but I believe she brought me to your website! I like your projects very much!! Oh my goodness. Thanks for sharing Tammy! 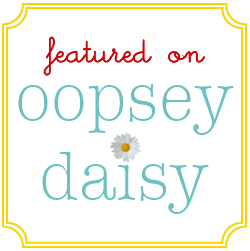 I love that your grandaughter had a book called Oopsey Daisy. So sweet! Lots of love! can you use a hair dryer to get the bubbles out? I have never used resin. How do you apply thugs? pour on or paint? Hi Oopsy, I have tried mod podge in the past. The problem I had was the ink running on the pic. 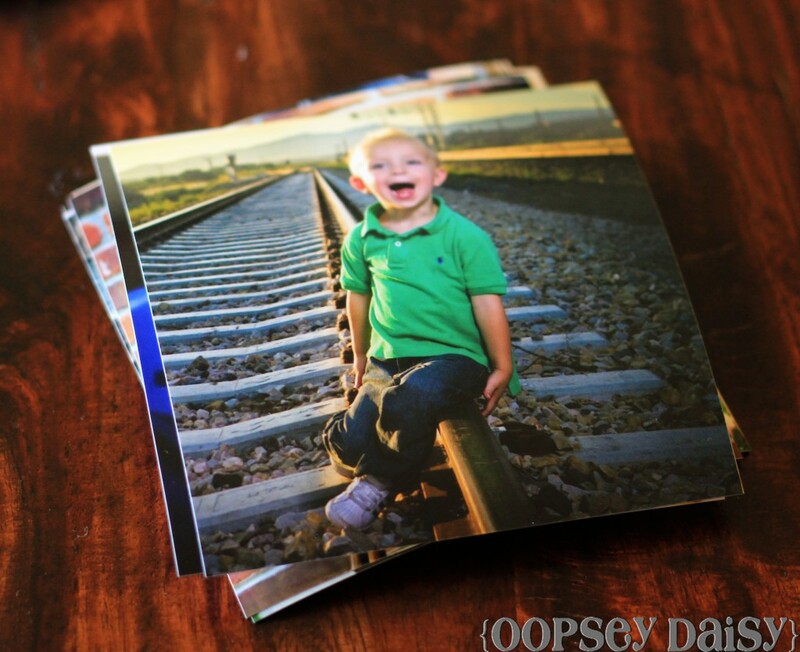 Have you tried this with at home printed photos. Was Costco’s prints a matte or glossy finish. Thanks for your help. I’m totally trying that next time!! Do you think the resin would hold up to heat? I mentioned coasters to my mil and she told me he wanted trivets instead. Going to be a lot of wasted work and money if the first hot pot melts the resin. :/ Awesome idea! Making coasters for my entire family this Christmas. Here’s axtip glue felt to the bottom of the coaster it gives a more finished look I make these all the time. Hi Jo. I did glue felt circles to the bottom of each coaster. Great idea. What kind of resin did you use? And what temperature did you store them at? I am no resin expert by any means, but I swear by Envirotex resin. And I stored mine in the garage– a very dry place. They were literally dry in a matter of hours. I am sorry your resin gave you fits! Ugh! Awesome…this is my next DIY project. Instead of using a blow torch, could you use a blow dryer? Thank you for this amazingly easy DIY! Just finished making a set of 8 for my future dughter-in-laws bridal shower in 2 weeks. YAY! I am so excited that you loved this craft as much as I did! How well do these soak up condensation? Or does it roll off the sides? Hi! Think of resin like glass.. the condensation just rolls off; it doesn’t absorb. I hope this helps! i have done these both ways: with resin & with mod podge. by far i was MOST pleased with the resin results. the MP dries with any & all streaks that occur in application. you’re correct about the lack of a hard, glass-like surface result. when i stacked the MP ones & packaged with ribbon, the gift-receiver had to pry them apart (and they’d been complete for WEEKS). there were fuzzies & marks left from the felt dots on the tops of those that had been stacked upon. disappointing to say the least. especially when given them to other people. a re-do on a gift is less than exhilarating. stick with the resin, ladies. it’s your best bet. I love that you have tried both ways! Thanks for the helpful advice! I have tried this project and the resin just eats up and smudges my photos until they are unrecognizable. Has anyone else had this issue? I have even tried sealing with Mod Podge first. Should I be using a specific photo finish or a specific resin? Thanks! Hi Lauren! I have never tried any resin other than the Envirotex Lite resin, but I never had a single issue with it. It covered the photos beautifully. I am not an expert on any of the other types of resin, but I highly recommend the Envirotex Lite! I love this! so easy to do!! Those turned out beautiful! I must try this!! Hi Adriana. I really think practice makes perfect here. And it may be the kind of resin you used? I didn’t have any issues at all with the Envirotex Lite resin. You really have to do the straw method for about 20 minutes, blowing out any bubbles you might see until it appears clear. Did you seal the photos before applying the resin? Your website saved me!! I am making these coasters as favors for my upcoming wedding. Instead of pictures i used a set of coordinating scrapbook paper cut down to size and I used mod podge to adhere the paper to the tiles. To seal te coasters I tried polycrylic sealer (allowing it to set and cure for 45 days), engine paint (water proof and heat resistant to 1500 degrees) and some other sealer. NONE of them actually made the coasters waterproof and non tacky. Every cup stuck to te coaster. I found your blog, bought a gallon of envirotex lite, and haven’t looked back!! 200 coasters down, 120 to go! They are perfect and once you get the hang of the resin its not too difficult to use. I used my heat embossing tool to get the bubbles out and Popsicle sticks to smooth the resin and to clean the drips before they harden! Thanks for your help!!! I love this idea… i made 2 to try it out.. It worked well but about two weeks later i noticed that on one of them their started to be a bubble in the middle. I tryed to push it out but the next day it came back.. Have you heard of this happing? Can you advise? Thank you !! Hi Elyse! This has never happened to me, and the only thing I can attribute it to is the amazing resin (envirotex lite) that I used. I tried this technique years ago but with a wooden plaque that had sections to imitate 6 tiles. It was messy. I have been looking for ideas for giveaways at my baby’s baptism. And voila! I found your instructions. FYI, Michael’s has 50% off coupons that you can print from online or present at the register from your phone. And Michael’s is selling the envirotex lite resin a couple dollars cheaper than Hobby Lobby. I usually get my prints at Ritz Camera but they closed almost all their locations but you can still print online. CVS has free 25 print promo, so I made 25 coasters. 😉 But Shutterfly always has deals. The last time I made this, my friends and I printed the pics from a home computer, well the resin bled thru the photo paper. Not perfect. This time, I used modge podge to glue the pic to the tile. I also made godparents gifts where I used 4×6 print on 6×8 tile. I pasted the scrapbook paper onto the larger tile and covered the scrapbook paper with modge podge to prevent the resin from soaking into the paper. Then, I pasted the pic centered on the tile. I also had personalized each picture by using a collage app on my phone. I didn’t have a blow torch, we used straws. But after a couple of tiles, spit built up in the straws and would drip onto the coaster while we were trying to blow out the bubbles. I’ve got ideas for Christmas gifts but do you know of anybody that has had success with the blow torches that is used in making creme brulee? Thanks again for all the tips. I love your website! I just wanted to say this was a great project. Thank you for the directions. 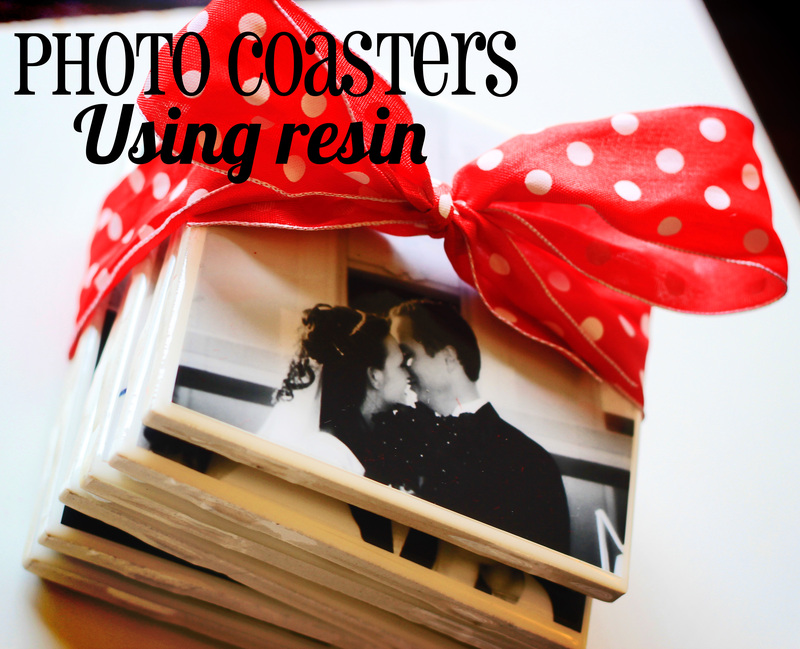 For anyone who is scared of resin…..don’t be! It’s not that hard. I’ve already made ten coasters and they came out great! Great idea! I was wondering if instead of the blow torch I could use a blow dryer??? Hey Shelby! It’s actually the carbon dioxide you need–not the heat. That’s why a straw works just as well as the blow torch! 🙂 Good luck! With regards to your edited note. You can use mod podge – the furniture mod podge is ideal for this type of project. It can be wiped down and is waterproof. Bought everything yesterday and made these tiles. Of 16, I only had one with a bubble. What a wonderful gift to give. Thanks for the instructions. Resin isn’t hard to work with, you have lots of time before it hardens. To raise the tiles, I cut up two toilet paper rolls into rings about and inch tall… Worked great! I love this idea! I am doing it for my family for christmas this year, but I am a bit confused. I am trying to buy resin and hardener, but all I’m getting when I search it is “envirotex-lite pour on high gloss finish”… would this work instead of using both resin and hardener? I really appreciate your help! Where did you do this project-indoors or out. If indoors how did you ventilate room. I am a little nervous but eager to get started. It was summertime when I made mine, but I did it in the garage! Has anyone ever used a blow dryer or put them in the oven? Husband can’t find his blow tourch (how does one misplace that?). Straw didn’t work for me:(. I have bubbles. My son made these this year as his Christmas craft and they were a hit!! The only difference is that we used Glossy Modge Podge and a spray sealant. They are spectacular and so inexpensive!! I am so excited to try this. My Dad is 99 and I have some of the neatest pictures of him through the years. After visiting Hobby Lobby online it lists just one product in 2 sizes…I can’t see the hardener too? Does the 8 oz size contain both in the box? I am interested int eh 32 oz but just has listed the Envirolite nothing listed about the hardener? Did they sell both? Thanks. Oh this has been such a wonderful project for my hubby and I this year! My Dad passed away in August and I wanted to give my mom, siblings and children some useable photo memories. These coasters were the perfect thing. I put the photos on the tiles and my hubby did all the resin and is such a perfectionist, he is sanding off the edges with his sander! We are celebrating our family christmas tomorrow .. Just wanted to say I have been so blessed by finding this project. Thanks for sharing..and the resin worked beautifully! 🙂 Blessings to you! These are so lovely and love the pics! super cute! I have to try these out too. I have used mod podge and sealant and it works great too. I just used the glossy finish. 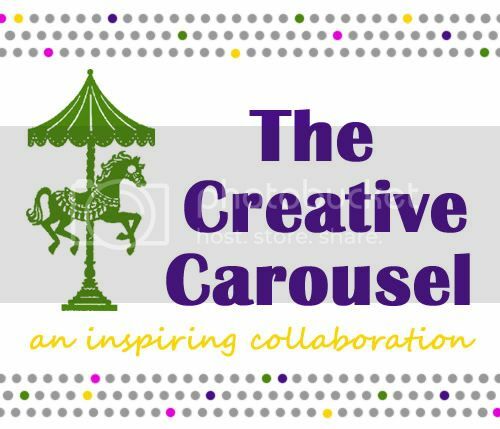 Stop by my blog an you can see what I did. Tks have a great one. I am not a crafty person at all, but am always up for a challenge so I gave this a try. It really is simple! But you must be patient. I printed photos on my home printer using HP photo paper. 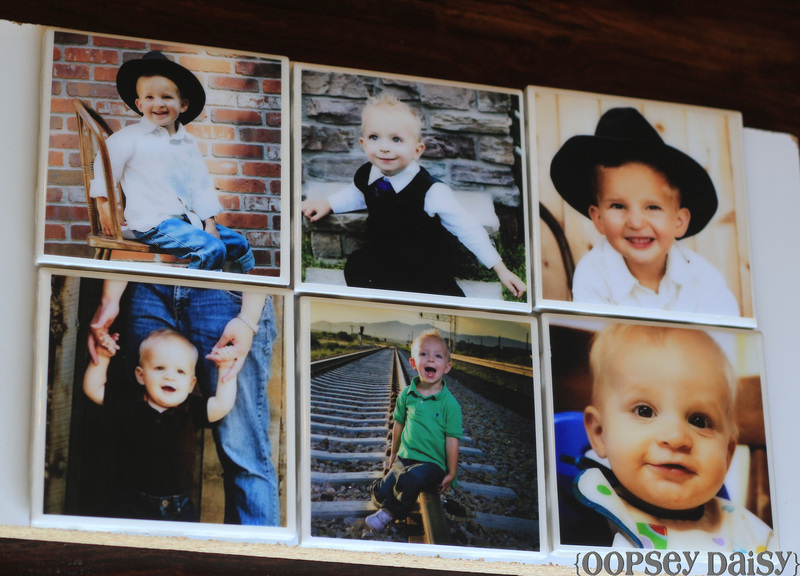 I used Mod Podge to stick the photos on & placed books on top to flatten the pictures & prevent curling. 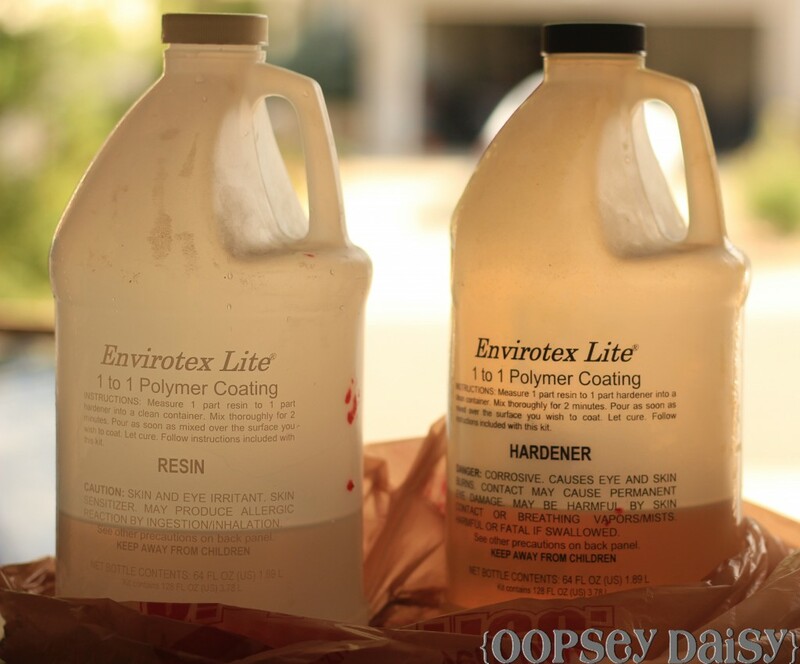 I purchased an 8oz kit of Envirotex Lite resin (using a 50% coupon at AC Moore). A little resin definitely goes a long way, so an 8oz package should last through another 2 coaster projects. A straw worked just fine for me for blowing away all the bubbles. Again, if I can Do this, anyone can. Thank you for the great tutorial!! YAY! I am so excited to hear that this worked so well for you. Great tips! I made these today & they turned out so cute! The resin wasn’t hard to work with except one small problem…I laid the tiles flat so now they are sort of stuck to the aluminum foil I laid them on. I will find a way to get it off after they dry though. I used a straw to blow out the bubbles & it was easy. Thanks for the great idea. Can you put hit mugs on these without it melting ? Envirotex has an excellent tute on using resin. Just go to their website. Michael’s also carries the product and also has 40 % off coupons. Hey! this is such an awesome idea, I have been looking around for unique ways to display Instagram photos and this idea is perfect. I have recently started blogging about tips to display Instagram photos and have just blogged about this idea. I put a link back to this blog of yours as I hope more people see this idea! What a lovely idea, these would be perfect for grandparents Christmas gifts.. Thank you for sharing.. I have been collecting great personalized ideas throughout the web for the past few months, and I must say that this is one of the better ones. Simple and meaningful. Hope you don’t mind that I pen it down on my journal for future reference. I am a fan of DIY handmade crafts and I support the great mums and dads working as artisans for a living at less developed countries. Give them your support as well at giftstimeless.com. I have tried it myself and I love it. I have used resin a few times. As long as you follow the directions, it is really easy. You may want to start out by purchasing a very small amount. (Michaels with a 40% off…) and practice. Also, I used my little heat blower from stamping to get out the bubbles. Blow torches and fire inside scare me a bit!! love this! any chance it could work with mod podge? Hi Kelly, I know several people have tried using mod podge. I personally have only tried the resin. Good luck! 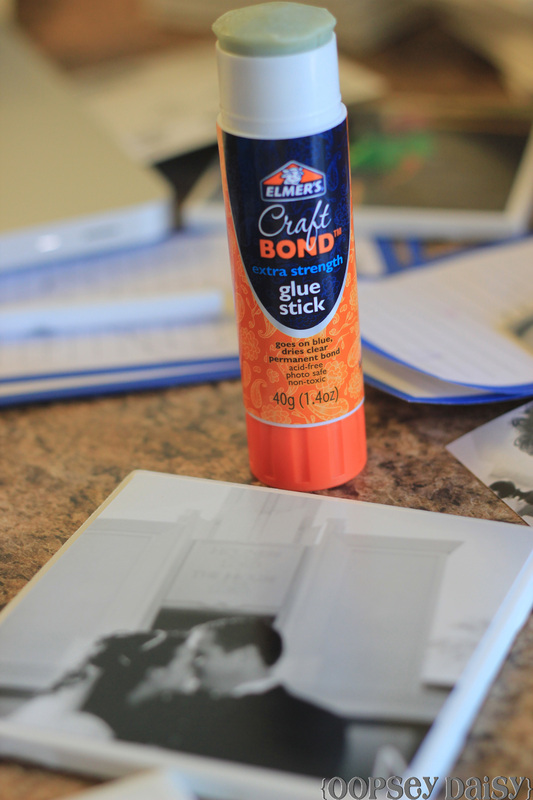 Did you put glue over the photos (like mod podge)? Some websites say you have to do this or the resin can affect the photo ink. I used the glue stick over the picture as well. I used Elmers glue stick because it says it is photo safe I have no idea if the cheaper ones are the same. I tried this with our craft group and did not use the blow torch we tried to blow the bubbles out they turned out ok and I am still happy to display them. I then tried again for Christmas presents I just finished and used the blow torch and OMG they look beautiful. I am so excited to give these to my sister and family! Thanks for the idea. Just completed a large project using this. We did about 80 tiles for Christmas gifts. My husband also had a hand held blow torch that was a major godsend for the bubbles that continually sprang up even after already having used the torch a first time. Another thing … I wish I had also heeded the advice of a YouTube user who used scotch tape to tape underneath the back edges of the tiles as it makes for easy removal of the resin that drips, hangs and then eventually hardens underneath the tile. Other than that they came out great! PLEASE HELP! My first coaster project is a disaster!! I thought I followed the steps to a T, but my resin cured very lumpy and wavy, and didn’t come to the edge of the coasters. I also think I tried to do too many at one time. Is there a fix for these ruined coasters with holes and indents in the resin? Is it ok to use a foam brush instead of a piece of cardboard to spread the resin? Can I just spread it on like mod podge?? Yolanda – I found out on my second application (didn’t do it the first time and noticed a big difference the second time around) that pre-warming the bottles in very warm tap water for about five minutes helped immensely with more accurate measuring, stirring, less bubbles and easier pouring, application and coverage. I too messed up a couple of my tiles when my plastic drop cloth accidentally touched and messed up a few tiles. I used my husband’s propane hand torch to carefully melt away the messy marks but applying another coat was the best way to “erase” most off the major mess-ups. Hi! I’m putting a link to this activity on my blog post about fun family activities. Can I use one of your pictures? Thank you! This is EXACTLY the information I need for a project. Thank you for the awesome idea, I have made many sets and they were all loved, however I bought a roll of cork from lowes to use for the bottom it worked great. I must admit black and white photos look the best and I love the glassy look using resin. Love you Oopsey Daisy. 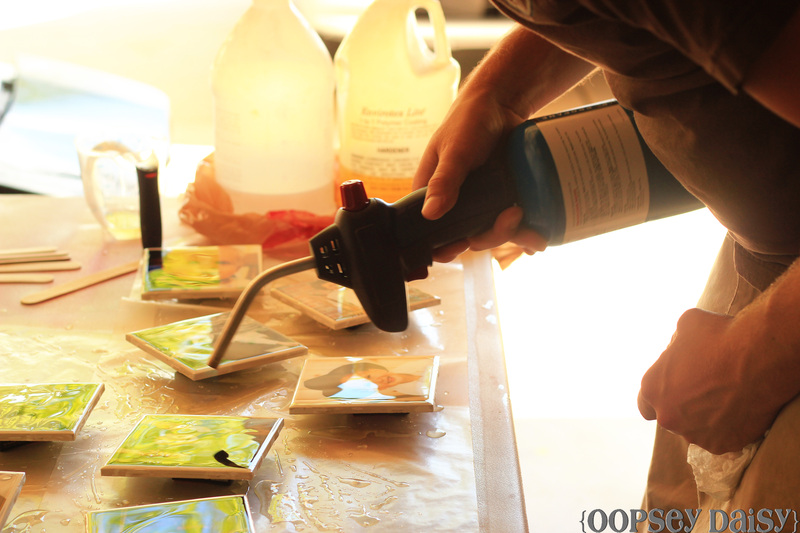 I’ve created dozens of tiles with resin, using a utility (barbeque grill lighter) lighter instead of a blow torch. Just turn the flame up. I was concerned about inhaling fumes using a straw. I turn cups upside down (from the pack bought for resin mixing). I sit the tiles on top of the upside down cups and pour. Surprisingly, this allows me to recycle the resin that drips off the tiles. I scoop it up right away with a plastic spoon and add it back on the tiles. Hey, waste not want not, right? Aluminum foil underneath works for me. Resin doesn’t seep through to my table. It gets easier and easier as you come up with ideas and techniques that work for you. I love, love, love Envirotex Light, especially with a 40% off coupon from Michaels Crafts or Hobby Lobby. Happy Tiling. wonderful work, I would love to have in my dining room. Tips about shopping and quickest information on offers, deals, discounts and coupons is appreciable about this blog. Thanks..
For the successful do it yourselfers out there, here is a tutorial to turn them into coasters yourself. I use my heat embosser from my scrap booking supplies. a litter hotter than a blow dryer but less dangerous than a torch. not too close or the epoxy will move. In the pictures it looks like you trimmed the picture a quarter of an inch smaller than the 4 x 4 tile. That makes a nice, small frame around the photo, right? Another question — how did you treat the thin edge of the tile? Would like to treat the thin edge somehow because it shows when it lies flat on the table. Could you put the Envirotex on the thin edge all around the tile? Also thinking of putting some kind of devise on the back of the tile so that several could be could be hung on the wall as a collection. Thanks for the really great project! This is really an amazing craft . I want to try it out. I would like to know what kind of Tiles these are. Ceramic Tiles? Only thing is the resin is so exepnsive. Did you have to seal the photos with modge podge before applying the resin? If you use a blow drier on the resin before you put it on, you can get ride of the bubbles. Use a small popsicle stick or toothpick to mix & you can reduce bubbles. Are these water absorbant…or will the water from an ice water glass roll off and still get on your table. If that’s the case, it kind of defeats the purpose of a coaster. Same as with Mod Podged scrapbook paper coasters. Just a thought…I always was told to use like a tumbled marble tile for craft projects as they are porous and absorb most of the moisture. I have a small hair in the resin and its pretty well set…is there anything I can do? I have plans to make these. You samples and blog were so nice.